Brand new--Just Released---This resource and freebie will be available at other grade levels soon. Review comprehension skills and reading strategies in just a few minutes each day. Students cover social studies, science, and reading topics as they keep their reading strategy use sharp. Inferences, main idea, vocabulary, character analysis, literary devices, details, themes, and more are covered. Nonfiction, poetry, realistic fiction, plays, and more genres are covered in the full document. 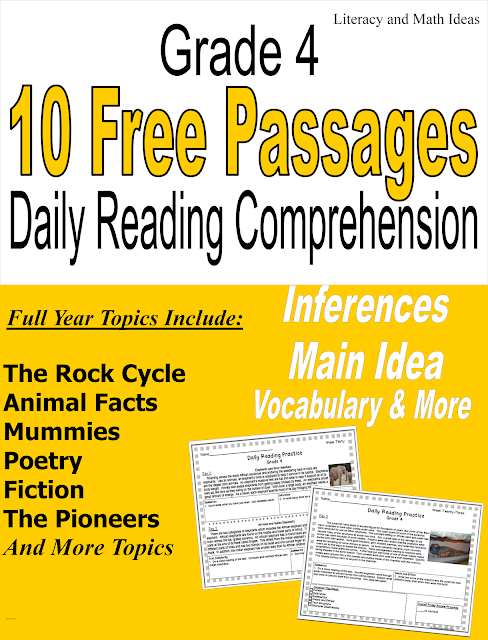 Try these ten passages for free. Comprehension questions are included with each passage. Answer keys and progress checklists are also included at the end of each week.